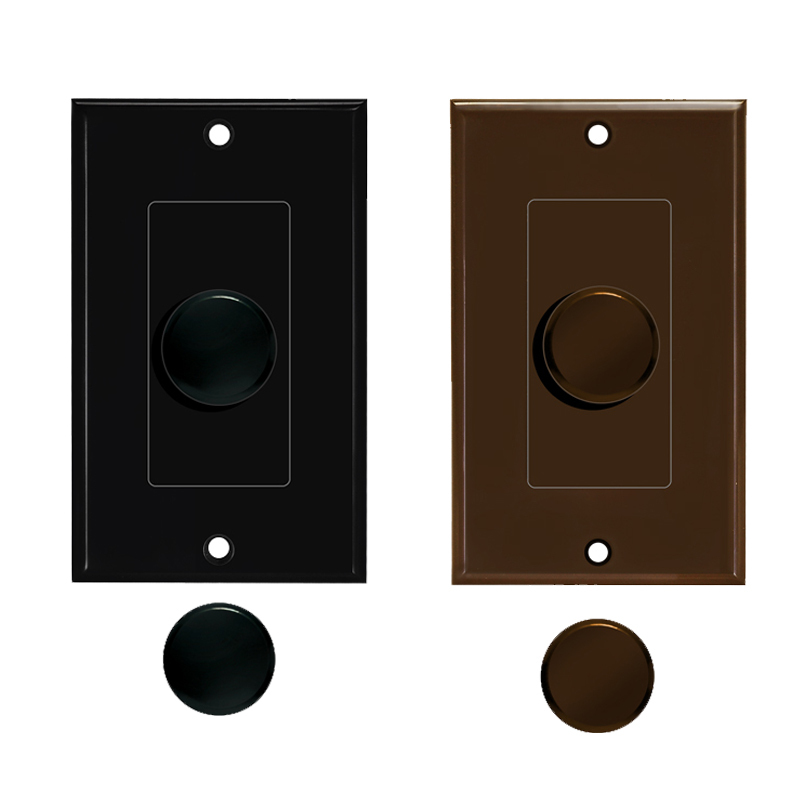 This kit lets you easily change the color of your SVC volume control to either white, black or brown. 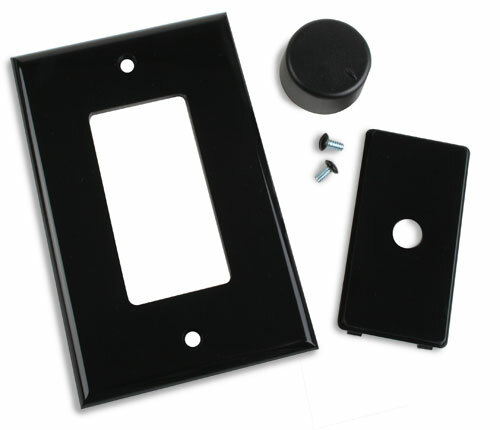 This kit is made to fit our OEM brand of volume controls only. Does not work with any other brand of volume controls. Same question as another - will it work for Niles VCS-2D in wall volume control that I bought in 1995. The plate and insert are fine. You had asked for photos of knob and plate after knob removed. Knob is held onto control rod with two set screws. See photos. Do you have these in white? Do you know when you will get this lot in white? How do you remove the white backing plate from the installed volume control to replace it with this one? Is it possible to get these in white? Mine are faded from the sun and I'd like to replace.. thanks. 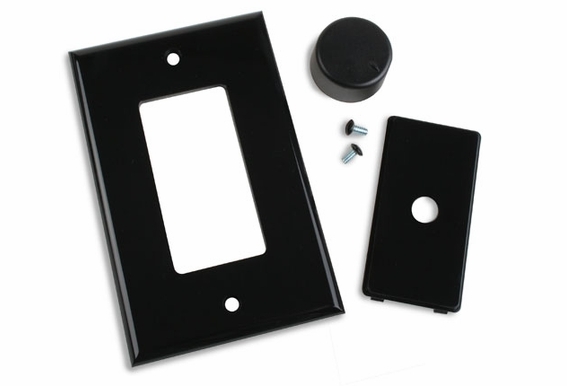 Will these face plates fit the pictured volume control? Do the screws come in the kit? Will this work with a OSD Audio SVC60? Do you know when you'll get the brown kit in stock? Thanks. 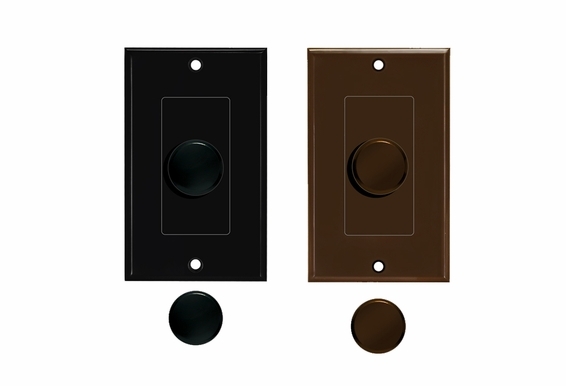 Do these faceplates color match pass & seymours color of brown?